I’m proud and pleased to present you The Ultimate Pre Kick Off Football Trading Pack! Trading football markets before the first whistle is blown can be seen as a low risk investment since there is no opportunity for the market to be suspended because of a goal, sending off or the match coverage lost by Betfair. It also means that the odds won’t change as drastically as when the market goes in-play. This provides us with an opportunity to predict odds movements and secure profits a month, week, day or hour before a match starts. Sometimes it can be done so easily, that you could compare it with collecting coins from a floor. There aren’t a lot of products on the market that focus only on pre kick off trading! People don’t talk about this kind of trading very openly and that’s maybe one of the reasons why you are on this page. Please read the description below, as you just may be interested in this product. This pack is a result of over 10 years of experience and observations of football markets on Betfair and other betting exchanges. It contains everything you need to know to help you to become a successful trader. It will expose to you the biggest dangers of this kind of trading and mistakes to avoid, which I experienced myself during my long trading journey. The main part of this pack is a 92 page guide with 23 different pre kick off football trading strategies! Each of the strategies is explained in terms of reasoning, potential dangers, profit targets and trading time zone. Every strategy has also been rated by myself in a scale of 5 stars taking into consideration the risk, profit potential, difficulty and required time. What about watching and enjoying a football match knowing that you have secured an equal profit from it before the kick off, no matter the score? You will discover sooner or later, that you won’t have to get involved in the in-play markets, as trading the pre kick off football markets can produce some fantastic profits week after week from pretty much the same principles. But you could also make it a bit more exciting by not hedging your profits and leaving a free bet on some big game. Or just hedge for a bigger profit in the in-play. But you won’t be losing any money in this way! How about a free bet for £100 for the Any Unquoted score in the Real vs Barcelona match and a goal within the first two minutes...? Easy to access all information needed for trading. Can be done days in advance, whenever you have time. You can trade in the morning or late at the night, anytime, no matter which country you live in. Can be done automatically – using free trading software. It will do the job for you while you are sleeping or working. There are plenty of different strategies and approaches to profit from. You don’t even have to be a football fan or expert to use them. 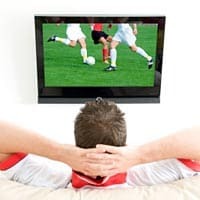 You can secure profits days before a match and if you don’t want to watch the game, you can go and enjoy other hobbies. Suspended markets, controversial red cards and penalties, late equalizers and other unpredictable events won’t make you angry and won’t decide whether you make profit or loss. It's a hugely satisfying skill to have! Your results will be closely dependent on how disciplined and motivated you are, and how much work you put into to it. However, in the right pair of hands, these strategies have the potential to earn you a really nice second income! 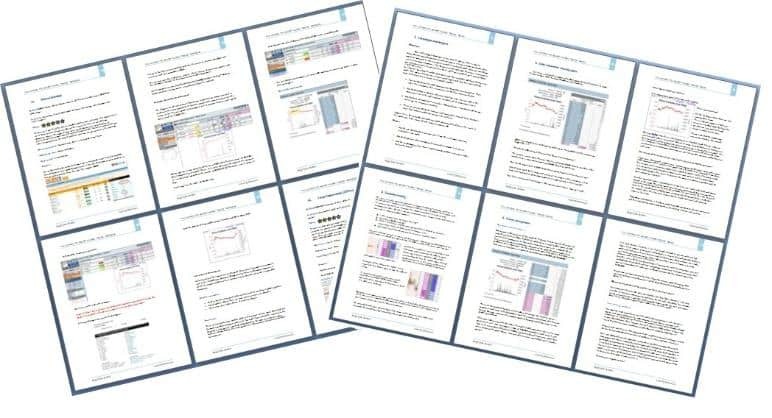 You will get the tools (23 of the pre kick off trading strategies) and a guide which will expose all the dangers and pitfalls waiting for you on your trading journey, as well as guidelines and tips to help you to learn self-discipline and the right attitude towards trading. If you have read my articles in the Insiders Report of Betting-School, you can be sure of the same high quality, well presented and easy to follow content! This publication was first released in 2012 and was updated for 2015! This product is our TOP seller and contains knowledge, secrets and systems, that you won't find anywhere else on the web! After the payment you will receive an unique download link with the pack. You will also need either WinZip or WinRar to extract and Acrobat Reader to view both files. If you have any questions or problems downloading the file just send us an email!